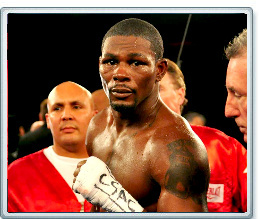 It looks as though a fight between the comebacking Jermain Taylor and Joachim Alcine will headline a Showtime card on April 13 or the 14th in Little Rock, Arkansas. There was talk of Jean Pascal facing Zsolt Erdei and pairing it with this bout in Montreal but from what I’m hearing, Showtime balked at this fight and Erdei preferred to wait for a title shot. So with that, Taylor will now headline and it looks like the talented Gary Russell Jr will open up this card. - Nobody at Interbox will give any comments, but based on what I’m hearing from everyone else in the industry, they are absolutely looking to get out of their deal with Showtime, as it relates to IBF super middleweight titlist, Lucian Bute. Bute, because of the way he’s been built into an attraction in Montreal, is one of the handful of boxers today that can take this course of action.